Incorporating a range of FFF modules in a single integrated system to provide universal separation, the AF2000 MultiFlow offers more flexibility, better performance and more robust results than any system before. 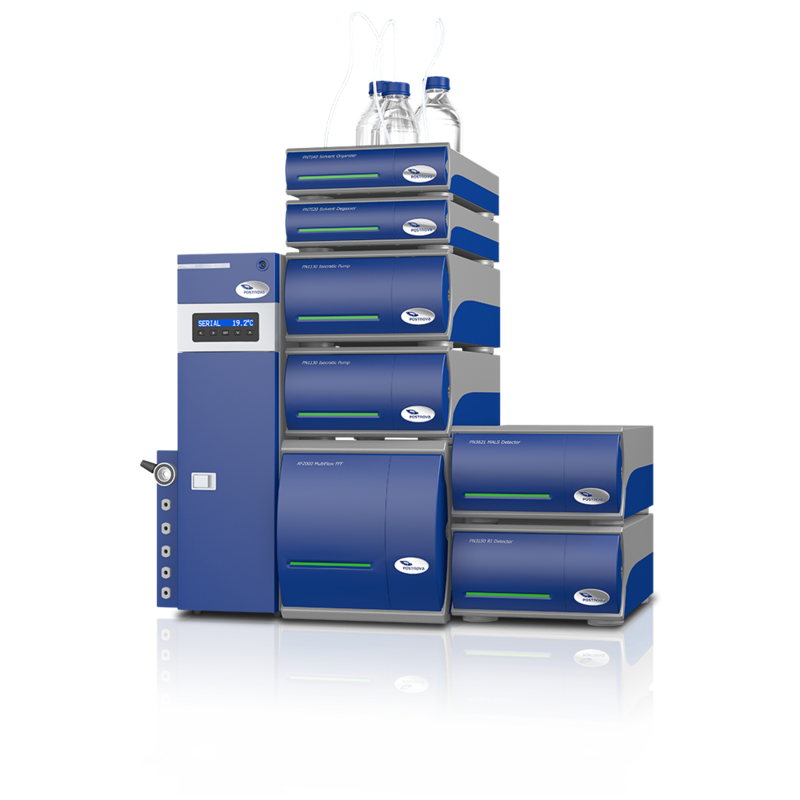 The AF2000 MultiFlow platform is based on the Flow FFF principles using a unique crossflow field design in which samples are separated by their dynamic diffusion on the basis of molar mass or particle size. Because of this design and the absence of any stationary phase, field-flow fractionation on the AF2000 MultiFlow can be performed without exerting shear forces and stress on the molecules or particles being separated. The AF2000 can be run with different eluents, wide ranging temperature conditions and the same system can be used for running planar Asymmetric Flow FFF (AF4) or circular Hollow Fiber Flow FFF separations (HF5). 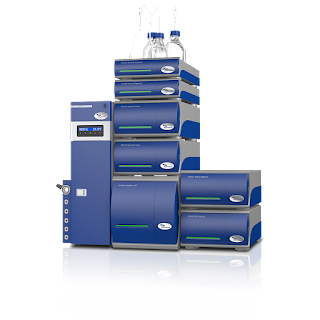 Consequently the AF2000 MultiFlow is an ideal platform for the characterisation of proteins, antibodies, aggregates, vaccines, VLPs, liposomes, nanoparticles and natural or synthetic polymers. The AF2000 MultiFlow is available in a series of different models. Various add-on modules, extra options and special FFF detectors are available, such as Multi-Angle Light Scattering (MALS) and Dynamic Light Scattering (DLS). All Postnova FFF modules and detectors have been especially developed for FFF and are perfectly optimised not only for the use with the AF2000 MultiFlow, but also for the other Postnova FFF systems. Additionally the AF2000 Series has been designed for easy interfacing with high-end detection technologies, such as ICP-MS, from other suppliers that may already be at use in your laboratory.